Arizona is one of the hottest states all year round and it remains dry most of the year. 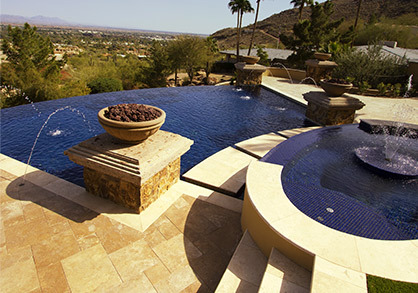 Because of this, Arizona residents own more than 600,000 pools in their yards. Goodyear has a good chunk of that number and every single one of them will need to be cleaned and maintained. Universal Pool Service wants to let you know that just because the season is changing doesn’t mean that you cannot continue to enjoy your pool. They say that swimming is one of the best forms of exercise that you can get because it builds muscle all over your body not just one area at a time. You are using your legs to kick, your core to hold you on top of the water and your arms to move you forward. You can even use your neck muscles because you are turning your head. It’s always on the warm side in Goodyear, so it’s nice to be able to come home and take a dip in the pool to cool down. Maybe you don’t go swimming but just sit on the ledge with your feet in the pool. Or maybe you get in the pool to play with the kiddos. 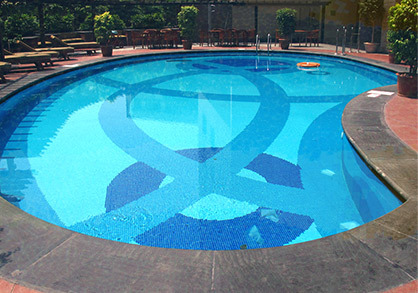 Either way, having a pool that you can get into anytime you want is a great feeling. There is nothing better than feeling your toes hit the cool, clean, blue water. 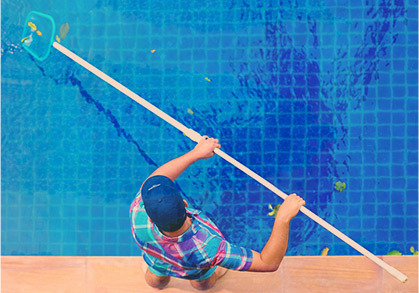 If you have a pool that you have been neglecting and now want to use it more often, call Universal Pool Service today and we can set up a pool maintenance schedule for you.